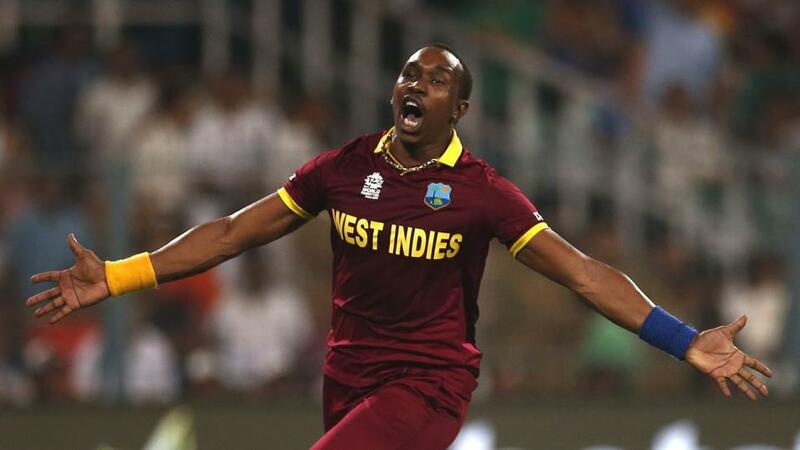 Dwayne Bravo has swapped teams but not cities. "With the exception of the Scorchers, no-one has won the BBL more than once. In fact, the last four finals have seen six teams being present across them with the Scorchers and the Sixers featuring twice. In other words, historically it’s a wide-open contest." Perhaps more than their never-ending army of pace bowlers and big-hitting middle order, the Scorchers' greatest strength while they were winning three Big Bash titles was their home form. Wisely assembling a squad perfectly suited to the lightning fast conditions at the WACA, they were virtually unbeatable at home, especially when defending totals. But all things come to an end and now they're playing at the Optus Stadium, the third largest stadium in Australia, with a capacity of 60,000. It will be interesting to see how they adapt to conditions there but it hasn't stopped them being priced up as 4/1 favourites. Speaking of the Scorchers, there's been a bit of a merry-go-round...going round. Former Coach Justin Langer is now the Australia coach and was replaced by Adam Voges, the previous Scorchers captain, who retired. Voges in turn was succeeded by Mitchell Marsh as skipper. There's no excuse for Voges not knowing his playing resources well. He played alongside 17 of them over the years with Perth and has coached 15 of them while also being in charge of Western Australia. Recruiting the second most experienced T20 player ever (Kieron Pollard is the first) in Dwayne Bravo from cross city rivals the Renegades may be seen as a safe option by the Melbourne Stars, given how much of this stuff he's played and the fact he's been in the Big Bash for a while now. Or it may be seen as a rather bold one given he's now 35, is finished with international cricket and often seems more fussed about having a good time on the ground with lots of dancing and over-the-top celebrations than winning cricket matches. Only time will tell whether the Stars got this one right. If we all know about Bravo, not many of you may know too much about his overseas colleague at the Melbourne Stars, Sandeep Lamichhane. Well, that's assuming you don't watch a lot of Nepalese cricket. He did admittedly also turn out for the Delhi Daredevils in the IPL last season, playing three matches, but not more than a couple of players in the BBL will have faced him before. An 18-year old leg-break bowler, he's also already played in the Afghanistan Premier and the Caribbean domestic T20 competition. He'll leave before the semis to report for Bangladesh Premier League duty. After dismal performances in recent years, the Stars (11/2) will need a big contribution from him while he's there, to stand a chance. Eight (or nine) English players will be turning out in the Big Bash this year. They come under different categories. Joe Denly, Tymal Mills and David Willey are there for the whole tournament. Jos Buttler and Joe Root will play most of it, both for the Sydney Thunder, before reporting for Test duty. Harry Gurney is there for the second half of the season at the Melbourne Renegades, while Chris Jordan comes in for Buttler when he goes off to play for England. Then, there's Matt Parkinson, the Lancashire spinner who was meant to play for the Melbourne Stars, but suffered an injury whilst on England Lions. His participation remains in doubt. Finally, there's the unique case of Joffra Archer. The West Indian-born all-rounder is in the process of qualifying to play for England on residency grounds but just last week the possibility of him being fast-tracked was mooted, with the qualifying period being reduced from seven years to three, theoretically making him eligible in time for the World Cup. The fly in the ointment? Playing in the Big Bash for almost two months would mean he would have been outside the UK for too long over the previous year. He may therefore have to opt out of turning out for Hobart in order to make sure he's eligible to become an England player in time for the big one. The sight of Brendon McCullum and Chris Lynn opening the batting for the Brisbane Heat is the stuff of nightmares for any bowler. Just look at their collective nickname. It's a double-edged sword. If they come off, they can set unreachable totals or chase any score but the criticism of the Heat is when they're cold, there's not much else to come. McCullum is quite frankly, somewhat past it. Even in T20 cricket, there has to be a more varied approach than just trying to hit every ball as hard as you can. Kudos to him that it's a selfless attitude from a T20 opener and that occasionally it will come off and when it does, those runs will come very quickly indeed. But still. Lynn, however, is the real deal, combining brute power with shot selection and actually accumulating runs by running between the wickets when good balls come his way. His 102 Big Bash sixes are almost twice as many as the next man (Aaron Finch, 59). But as 9/2 second favourites, the Bash Brothers still have the odds compilers worried about what they can do. One thing is for sure: they're certainly fun to watch. The Bash Brothers will be involved in the opening game of the tournament, at home to the Adelaide Strikers. With the exception of the Scorchers, no-one has won the BBL more than once. In fact, the last four finals have seen six teams being present across them with the Scorchers and the Sixers featuring twice. In other words, historically it's a wide-open contest. So, don't be put off by the likes of the Sydney Thunder (17/2) or the Melbourne Renegades (7/1) purely because of their odds, which suggest they're no-hopers. A lot can happen in terms of form, international call-ups and close games which can go one way or the other. No side can be ruled out before a ball is bowled in anger.